The Experience + Innocence Tour is over. 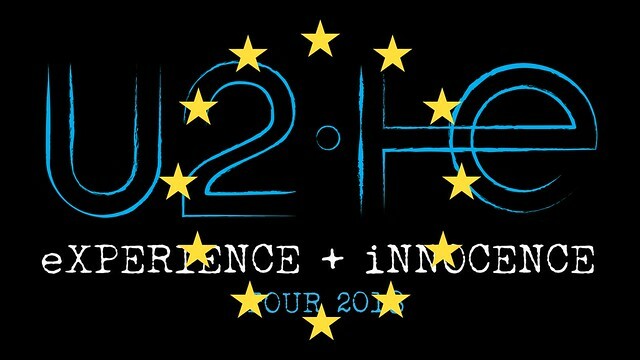 The last show in Berlin put an end to the cycle of the Songs Of Innocence and Songs Of Experience albums. "People came from all over the world, these crazy U2 fans," Bono said. This gig was the one rescheduled after Bono lost his voice on Aug. 31, so it had an extra portion of emotion. "Last time we stood here I could not sing that song, and you sang it for us. Thank you. Thank you for coming back," Bono said at the end of "Beautiful Day." The show was recorded for a future release. There were lots of cameras in the arena, and the band rehearsed the night before. The set list included "Gloria" and "Dirty Day." Brian Eno was present at the show. Bono thanked him for his work during the recording of Achtung Baby in Berlin. "MacPhisto is disappearing for a while," Bono said during "Acrobat." "Remember Berlin, whenever you see a journalist being crushed or children being separated from their parents, whenever the lost or the lonely are washed up on borders that are closed...you’ll find me." And at the end, he mentioned several politicians: "Where you see those many names, remember this, there's just one face attached to it — it's my face." In conversation with Ali, Bono mentioned his father: "In the hotel room I looked in the mirror and saw his face, my father's face. He was a showman, too. He loved you. And I finally understand that he loved me." Before the last song, Bono said: "We've been on the road for quite some time, just going on 40 years, and this last four years have been really something very special for us. We're going away now." "13 (There Is A Light)" was dedicated to Mark Fisher, who designed U2’s tours. See the full Berlin set list.